The Liberal City Commission met Tuesday night for their regularly scheduled meeting. Among the items on the agenda, the Commission proclaimed November 17, through November 21, as National Education Week. The Commissioners also paseed the final reading of Ordinance 4439 a rezone of 26. South Grant from Commercial to residential. Commissioners moved to a second reading, Ordinance 4440 which would annex a piece of property into the City for the purpose of construction of Eienhower Middle School. The property is on North Western, just South of Cimarron Mobile Home Park. The City Commission also entered into an agreement with KDOT for a project at 6 points intersection. 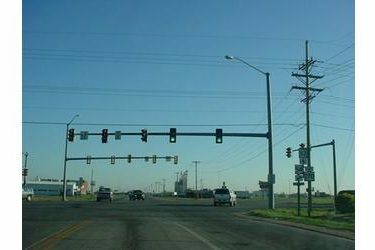 The project would drop the number of intersections from 6 to 4 while the Railroad/2nd street and Bluebell road intersections would be reconfigured. Total cost of the project is $2,171,751 with the City of Liberal paying $896,751 and the KDOT paying the additional $1,275,000. The next meeting of the Liberal City Commission will be November 25th.